Περιγραφή Prelude Mini – never short on style. This compact ballpoint from the top-selling Prelude Collection comes in a variety of finishes, making it ideal for anyone. Versatile and diminutive, the Prelude® Mini is the perfect take-anywhere accessory, fitting easily in agendas, small handbags, or even discreetly in your jeans back pocket. No matter where you go, you’ll always be prepared – and look good – with a Mini. 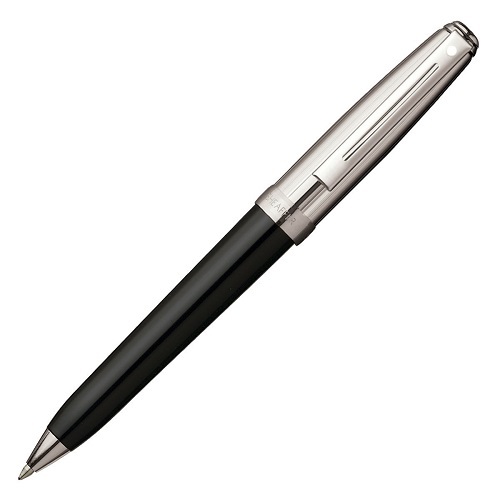 Ballpoint contains smooth, convenient twist action mechanism. The Mini is presented in a luxury gift box that includes a protective pouch. All Prelude® Mini Ballpoints display the Sheaffer® “White Dot®”, the globally recognized symbol of writing excellence.